For every part of ourselves that we bring to a higher vibration, we make it easier for others to bring a similar part of themselves to a higher vibration. Our choices become telepathically and energetically available to others.. Together, We are Birthing the New Earth. 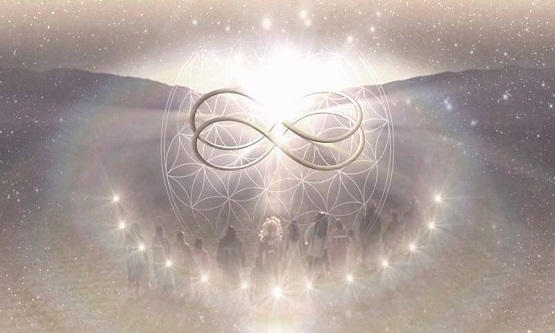 We are connecting on an energetic level in a way that is creating a massive shift in global consciousness. You, the Bringers of the Dawn, also known as the Family of Light, agreed to go through the process of mutation to evolve yourselves into higher beings by intention and conscious agreement. You bring light back to the planet, bring about the new evolution of humanity, and make the cosmic evolutionary leap in awareness and intelligence possible by anchoring the frequency first inside your own bodies and living it. This entry was posted in Uncategorized and tagged Barbara Maciniak, Christ Light Degree, Infinate Possibilities, Infinite Abundance, Infinite Love, love, our choices become telepathically and energetically available, Sandra Walter. Bookmark the permalink. But I have to ask, how to handle my anger when I feel it? By criticizing the ‘system’, or letting it pass through ?